On the filming scene of MBC drama The King 2 Hearts starring Lee Seung Gi and Ha Ji Won can always heard the familiar singing voice. Turn up the singing voice belongs to Lee Seung Gi who plays the role the South Korean prince Lee Jae Ha in the drama, and is rehearsing for the concert that will be held in Japan on June 1st, 2012. Lee Seung Gi is not appearing in The King 2 Hearts TV series as a singer, but on the shooting scene, he will wear a headphone and hum the songs whenever free, walking up and down. Furthermore, during the rest time or moving in a car, he will sit in the car to sing loudly, constantly practicing. 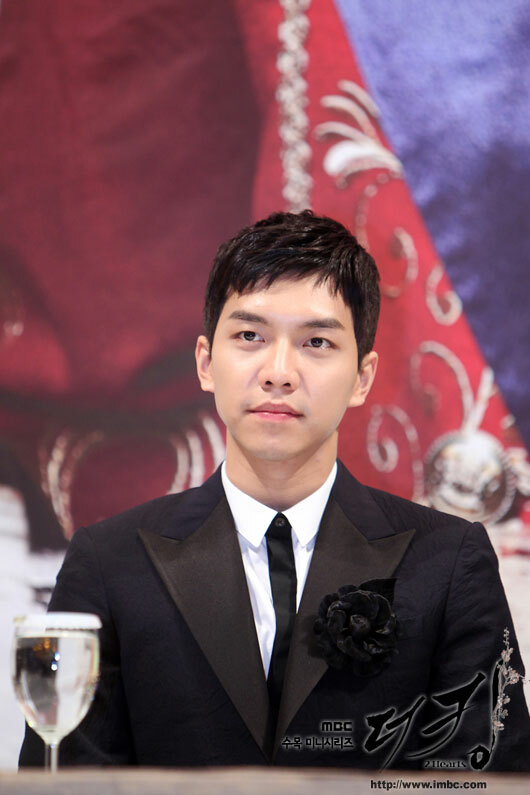 Lee Seung Gi who will organize a concert in Tokyo, Japan on June 1st, 2012, does not have sufficient time to practice due to busy with filming of the drama. The drama series The King 2 Hearts which is programmed to last 20 episodes will end on May 24th, 2012, until then, there is only a short period to the day of concert. So he chose to take some time to step up practicing on the shooting set. Looking at Lee Seung Gi who using free time to prepare for the performance, staff crews exclaimed, “One word, a great man. After filming that continuous for days, he who exhausted both physically and mentally can still use personal rest time to practice singing. Not sure if he has adequate sleep,” while praising also at the same time worried about the healthy of Lee Seung Gi. Lee Seung Gi who is starring in TV series The King 2 Hearts has temporarily stopped all activities related to TV programs, quitting KBS entertainment show 2 Days 1 Night and SBS variety show Strong Hearts in order to target Japanese market. At the same time Lee Seung Gi started shooting in March for The King 2 Hearts, he concurrently prepares for the Japan’s concert. The management agency of Lee Seung Gi said, “In Japan, comparing with as singer, Lee Seung Gi is more well known as an actor. So this concert is a good opportunity for Lee Seung Gi to show his image as a singer to Japanese fans,” indicating the importance of the Japan concert.